In a post about two years ago, I wrote a tutorial on the use of Adobe Lightroom 2 and Timothy Armes’ LR2/Mogrify plug-in to add EXIF information to an image processed for the Web. Since that tutorial was written, Lightroom has been updated to Lightroom 3 and LR2/Mogrify has been updated to LR/Mogrify 2. 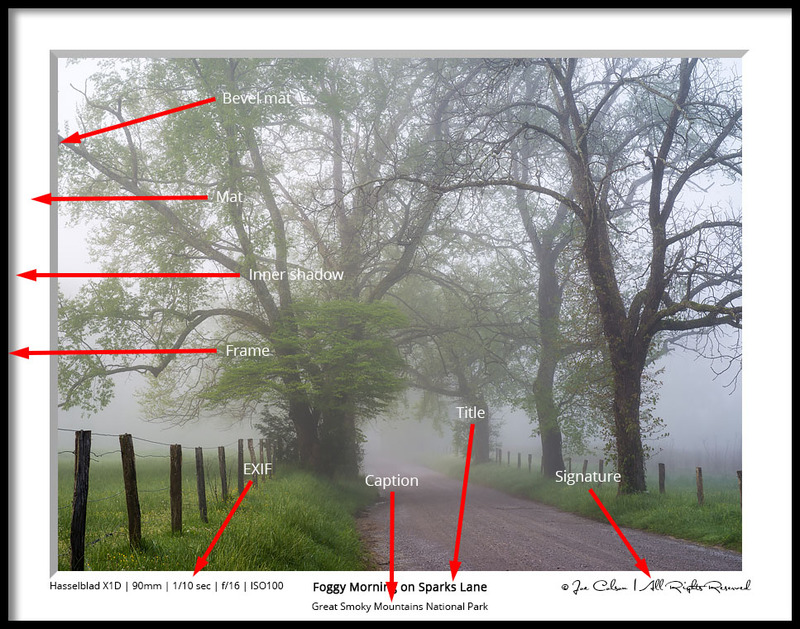 This tutorial is an update, providing complete illustrated instructions for using Lightroom 3 and LR/Mogrify 2 to add EXIF data to an image processed for the Web. LR/Mogrify 2 works on both PCs and Macs, but on a PC, you must install ImageMagick first. These instructions are written from the perspective of a Mac user, but the PC process is almost identical. 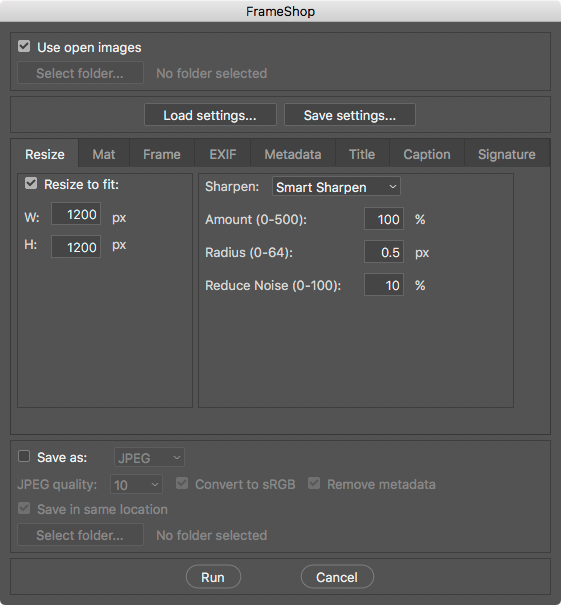 For those who would prefer to use Adobe Photoshop to perform this function, the PrintEXIF and FrameShop scripts, available free on this website, are good alternatives. Update (August 21, 2013): A newer version of the FrameShop script is now available for CS5 and CS6. I highly recommend using the newer version if you are running either CS5 or CS6. FrameShop is a script for Adobe Photoshop designed to give the photographer a variety of mat and frame styles for displaying digital images on the Web. Unlike the PrintEXIF and GalleryFrame scripts that preceded FrameShop, this script is more versatile and lets the user choose sizes, fonts, text position, colors and styles, offering an (almost) endless number of combinations. Like PrintEXIF, it gives the user the option to display EXIF data in the mat or frame, and like GalleryFrame, it has an option to double the size of the bottom mat dimension (Gallery mat) for a gallery mat style. I’ve incorporated automatic lens identification into the latest version of the PrintEXIF script. Previous versions have required either the selection of a Nikon or Canon lens from a drop-down menu or entering a lens description manually. In v4.0 I’ve taken advantage of the fact that most modern DSLRs write the lens information to the image file’s metadata. The user interface now shows the lens ID in the dialog box, if it is available in metadata, and lets the user choose to use that ID or enter the ID manually in a text box. I have updated and tested the PrintEXIF script (v3.1) to work in Adobe Photoshop CS4, and have tested the GalleryFrame script (v2.0) to confirm that it works in CS4. The GalleryFrame script has been updated to add new features, improve performance and fix a few bugs. GalleryFrame is a script for Adobe® Photoshop® CS3 (or CS2) that automates the generation of a frame for an image intended for Web display. The frame that is generated is similar to the asymmetrical frames used in galleries to display prints.